Dr. Mark Rothman is a Registered Psychologist who obtained his Doctoral degree in Psychology from Yeshiva University in New York City in 1987. He then completed a doctoral internship and post-doctoral fellowship at Strong Memorial Hospital in Rochester, New York. He relocated to Toronto and established his practice in Psychology in 1998. His office is located at 3080 Yonge St, Suite 5074. He has provided psychotherapeutic services for children, adolescents and families for over 25 years and has worked in a variety of settings, including: schools, universities, mental health clinics, residential treatment centers and private offices. Recently, Dr. Rothman completed extensive training in marriage/relationship counseling. He completed Levels I, II, and III using the Gottman Marriage Counseling Method. For additional information regarding this method, go to Gottman.com. He also serves as a “recommended referral” resource at Divorceangels.ca. Dr. Rothman presents with broad experience as a Psychologist with a variety of populations. He provides psychological services to address the emotional, educational and relationship needs for children, adolescents and their families. He also provides extensive services for children with learning differences and Attention Deficit Hyperactivity Disorder. Dr. Rothman has served as the Director at Wilson Banwell (Ontario Region) providing consultative services for client companies including executive-coaching, training, mediation/conflict resolution, crisis intervention, anger management as well as team building exercises. 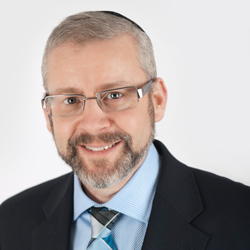 In addition, Dr. Rothman had held the position of Director of the Psychology Department at Maimonides College and he was previously an Associate Professor of Pediatrics at Strong Memorial Hospital in Rochester, New York. Dr. Rothman is also involved with MedCan Clinic’s Child & Youth Services.